1. Born in 1770, Wordsworth suffered many sad losses in his life, including that of his mother just before his eighth birthday. He and his elder brother Richard were sent to school in Hawkshead, and his father died when he was 13. Later in life, Wordsworth would lose two of his children whilst living in Grasmere, and much later, his daughter Dora. 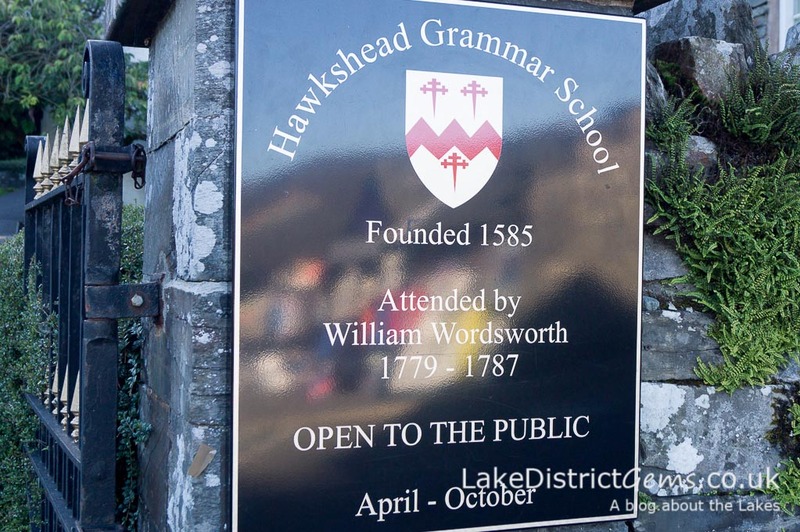 Hawkshead Grammar School, where you can still see the desk on which Wordsworth carved his name. 2. The Wordsworth family were owed money by William’s father’s employer. William’s father had been a solicitor and land agent to local land owner Sir James Lowther, but after his death, the then Earl of Lonsdale refused to pay over £4,000 which was owed to the Wordsworth family. The debt was only settled by Lowther’s heir, Sir William Lowther, when Sir James died nearly 20 years later. 3. William’s childhood home, Wordsworth House in Cockermouth, was to be pulled down to create a bus garage in the 1930s, after its last occupiers sold the house to transport company Cumberland Motor Services. As soon as word got round, locals acted to save the house and gifted it to the National Trust, who still care for it today. 4. During and after his university years, Wordsworth spent a lot of time abroad and in the south of England, and became a political radical. 5. Whilst in France, Wordsworth fell in love with a local girl, Annette Vallon, and they had a child, something that wasn’t widely known until the 20th century. Wordsworth returned to England shortly before France declared war on England, and although it seems they planned to get married, he could not travel safely and didn’t meet his daughter Caroline for another 10 years. 6. Arguments about housing developments are nothing new! 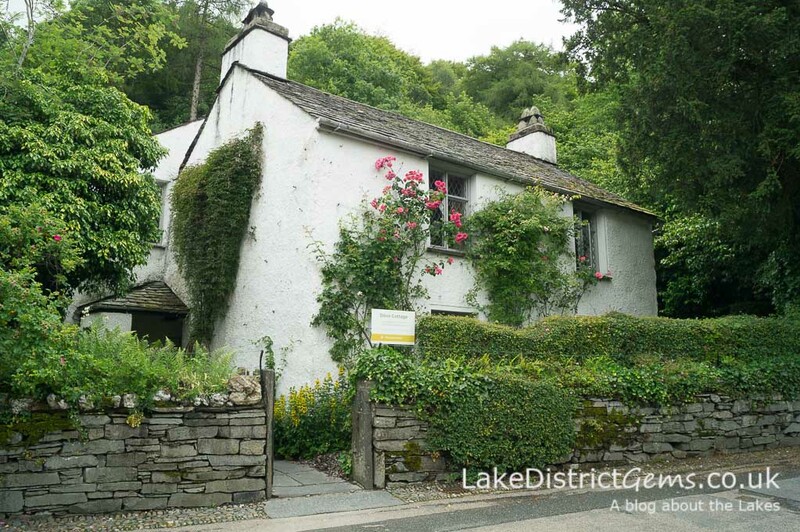 William and Dorothy Wordsworth lived for eight happy years at Dove Cottage, during which time William married his childhood friend Mary Hutchinson. Soon the family found that they were outgrowing the cottage, and so moved to Allan Bank in Grasmere, which is now open under the National Trust. Ironically, Wordsworth had fiercely opposed the construction of Allan Bank in the first place! 7. Living at Allan Bank had its own problems! The house was vulnerable to winds from all directions which caused the chimneys to smoke badly, particularly in poor weather. One night the family had to huddle together in Wordsworth’s study, the least smoke-filled room in the house, where they still couldn’t see each other across the room! 8. 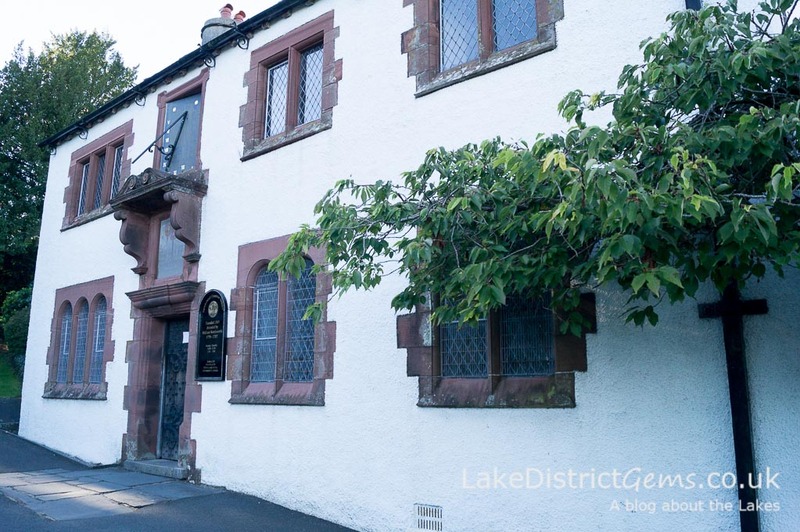 Dove Cottage was built in the early seventeenth century as a hostelry named the Dove and Olive Bough. It stands on what was then the main road between Ambleside and Keswick. Rydal Mount, where Wordsworth spent the later years of his life – I don’t think the cat is an original feature though! 9. William’s sister Dorothy is now recognised as a literary figure in her own right, but she never intended to write for publication. She and Wordsworth grew close in early adulthood after being separated as children, and her brother clearly thought a lot of her written observations, particularly in the form of her journals, which include her now famous Grasmere Journal. 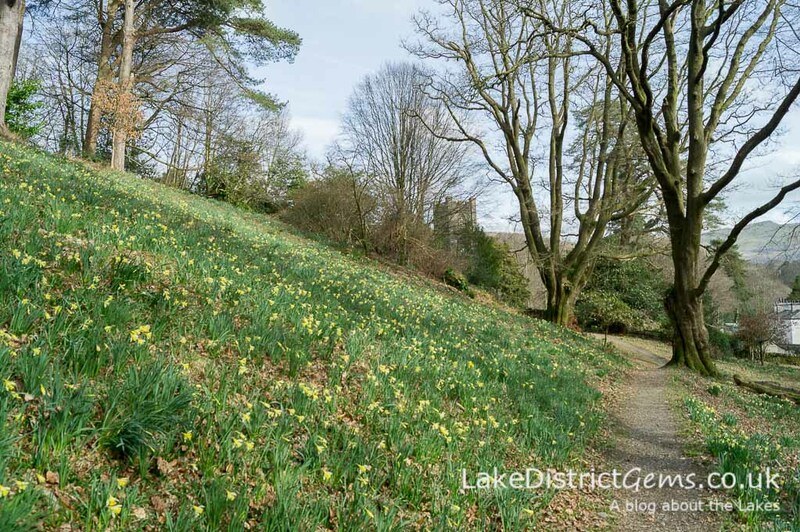 Wordsworth’s famous poem, The Daffodils, appears particularly to have been inspired by a description Dorothy wrote after a walk they took together through daffodils at Glencoyne Bay on the shores of Ullswater. 10. Wordsworth died of pleurisy in 1850, aged 80, and one of his best known works, the revised edition of The Prelude, was only published after his death. Writer’s Lives: William Wordsworth (2000) by Stephen Hebron, The British Library. The Lakes Poets (2010) by Gavin D. Smith, Amberley. Dora’s Field, which Wordsworth and his wife planted with daffodils following the death of their daughter (you can access this through the churchyard at St Mary’s Church, Rydal). Allan Bank, Grasmere – although be aware that there are no original furnishings or Wordsworth belongings here. Glencoyne Bay, Ullswater – home of those legendary daffodils. The Duddon Valley – one of Wordsworth’s favourite landscapes. If you enjoyed this article, you may also like another of my recent blog posts on literary Lakeland, 12 little-known facts about Beatrix Potter. 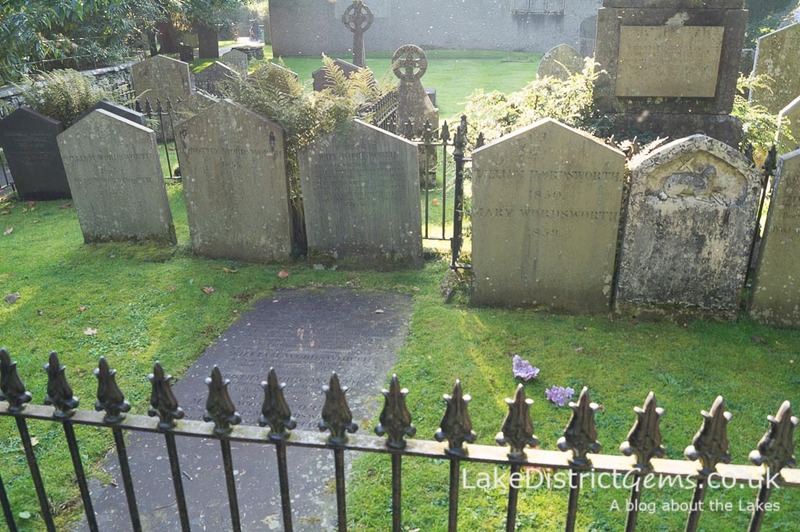 Which is your favourite place in the Lake District with a Wordsworth connection? Let us know by leaving a comment below. I really enjoy imagining what the Lake District must have been like many years ago, and even if you’re not particularly into literature and poetry, Dorothy’s journals are one great way to do that. Thanks for the very interesting facts about Wordsworth. I’ve loved his poetry since school, and as a family we just love visiting the Lake District every Autumn. You’re posts are very informative and inspiring-and not least the idea of visiting every tea-room….We’re not doing too badly there. We are avid hikers but I’m definitley going to take a day out this year to visit some of the Wordworth-linked places you mention. Thanks so much for your comment Sue – autumn in the Lake District is really lovely isn’t it?! Your plans sound great – and as an added bonus, there are tearooms at Dove Cottage and Wordsworth House too! Enjoy! !